Color charts are NOT our friends. 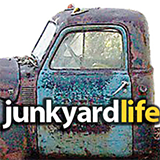 We love finding vintage automobile literature at swap meets. We especially love Pontiac’s ideas and presentations. Anthony, Jody, and I (Ron) are like 1970’s children poring over the Sears catalog, where antique automotive advertising is concerned. 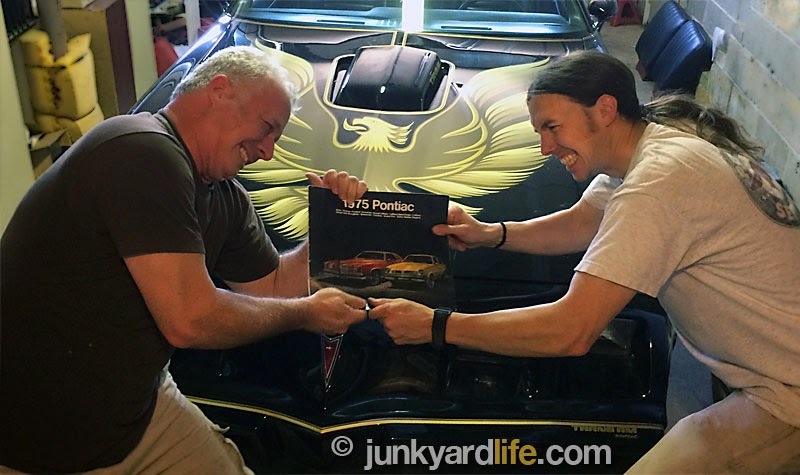 Even to an unhealthy degree, like when Jody and I were ‘tug-o-warring’ a 1975 Firebird brochure into two pieces. Lesson learned. Now, we just don’t show each other our latest vintage ad finds, or Anthony makes us sit in separate sides of the shop. The dispute, mentioned above, happened while studying our vault of all things vintage and Pontiac. This beautiful, albeit wrinkled printing (pictured above) of what Pontiac had to offer that year. I fell head-over-heels in love with two things in the 1975 Pontiac brochure. Well, your right. 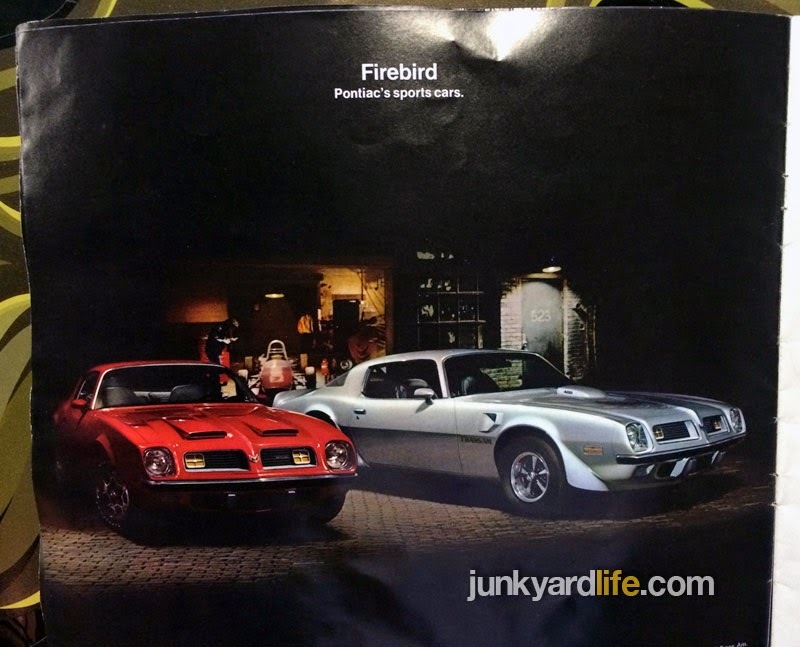 Probably, more like ten things, but for tonight, I am ready to search the world over for two Firebirds shown in the ’75 brochure (see below). Ron really wants these two Firebirds. Two problems. It’s not 1975, and Pontiac didn’t offer the paint colors shown on Firebirds or the hub cap combo. I know what your thinking. These are NOT Trans Ams or our beloved stealthy Formulas. These are plain Jane (sort of) Firebirds without spoilers, and (gasp!) hub caps. I have come to the conclusion that you could not buy them in 1975. Why not? They are right there in the brochure. True as that may be, these beautiful Birds are not feathered right. 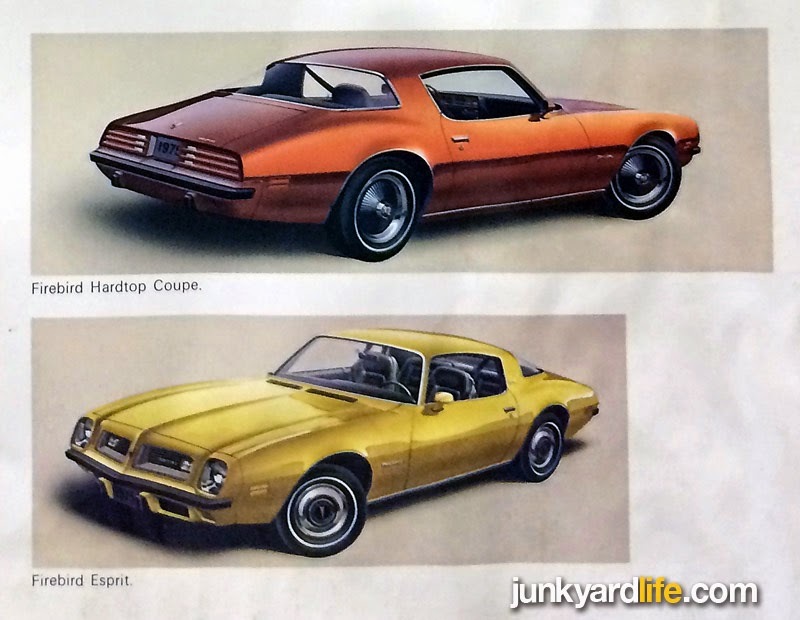 The top image features a Hardtop Coupe in Fire Coral Bronze (drool, drool), which according to the SAME book, is not offered in the Firebird or any other Pontiac that year except the Astre (picture a Vega in Pontiac styling). Also worthy of a mention, the Firebirds are wearing the highly coveted Junkyard Life favorite hub cap of all time. Pontiac called them “Finned Wheel Covers.” Possibly offered on a base Firebird, but not likely. You were more inclined to see those wheel covers on a Grand Prix or Grand Am. In the Chevrolet camp, these hub caps could be had in the late 1960’s on the Corvette and on the Camaro in the early 1970’s. A handsome wheel cover indeed. But even this brochure says it is not gonna happen on the base Firebird. 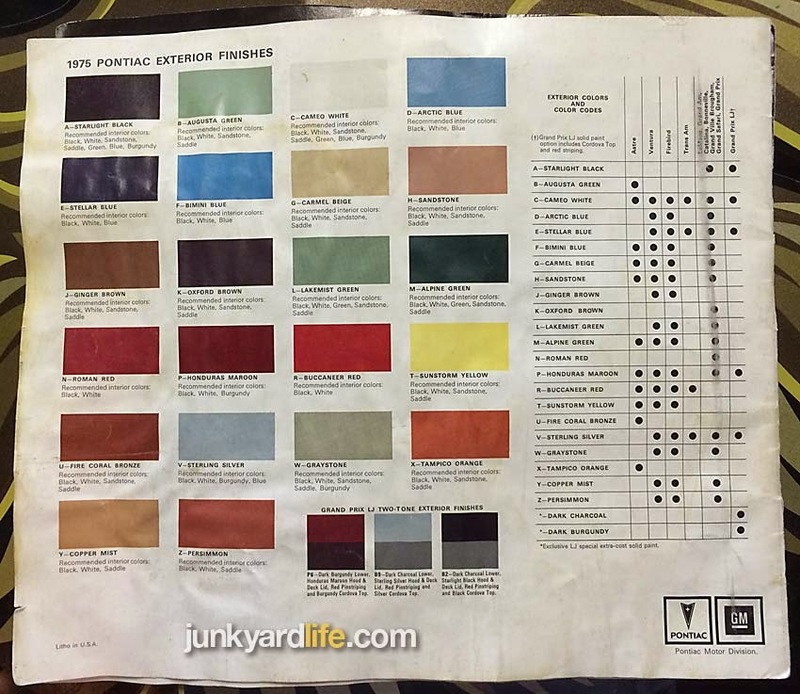 1975 Pontiac exterior finishes paint chart. the bottom. That color wasn’t even in the book at all for 1975, and those beautiful 15-inch hub caps — at least they were listed as standard on several models, although we have never seen them. They look great on that car. The deluxe interior makes me wonder why anyone would order anything else. A beautiful car in a classy color. I only wish we knew what color it actually is. A Buccaneer Red Formula and Sterling Silver Trans Am were worthy of a full-page spread in the brochure. No doubt those colors sold well in 1975.
to show options and colors that were canceled at the last minute. Such mishaps required a lot of awkward conversations between salesmen and disappointed buyers. 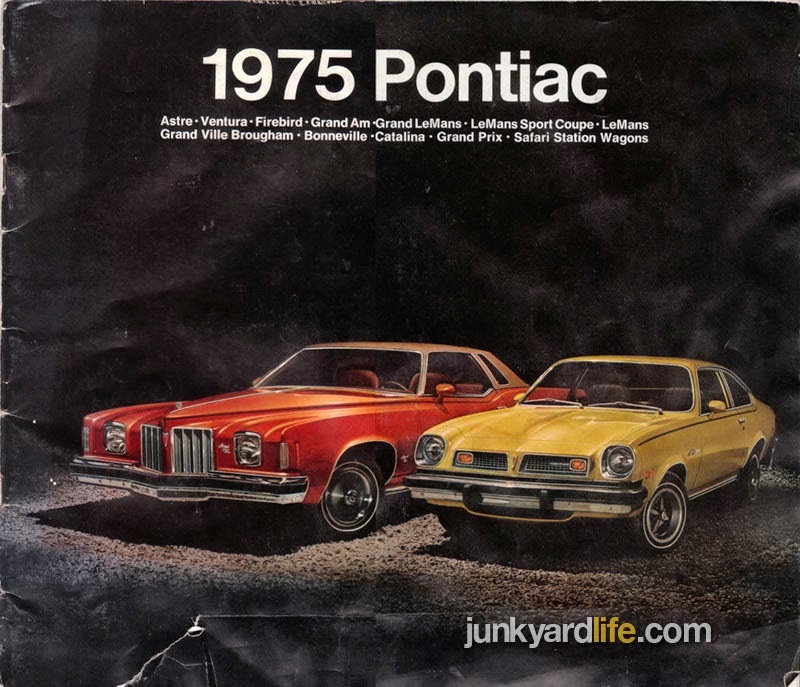 If Pontiac only knew, that decades later, their swanky brochures would be subject to Junkyard Life scrutiny. That doesn’t help me now. I really, really want both of those cars as pictured. Imagine us in 1975 throwing a tantrum on the dealership floor.